“Iconic Irrigation” was the title of K-Guy’s first solo exhibition held in 2011 with London West Bank Gallery. 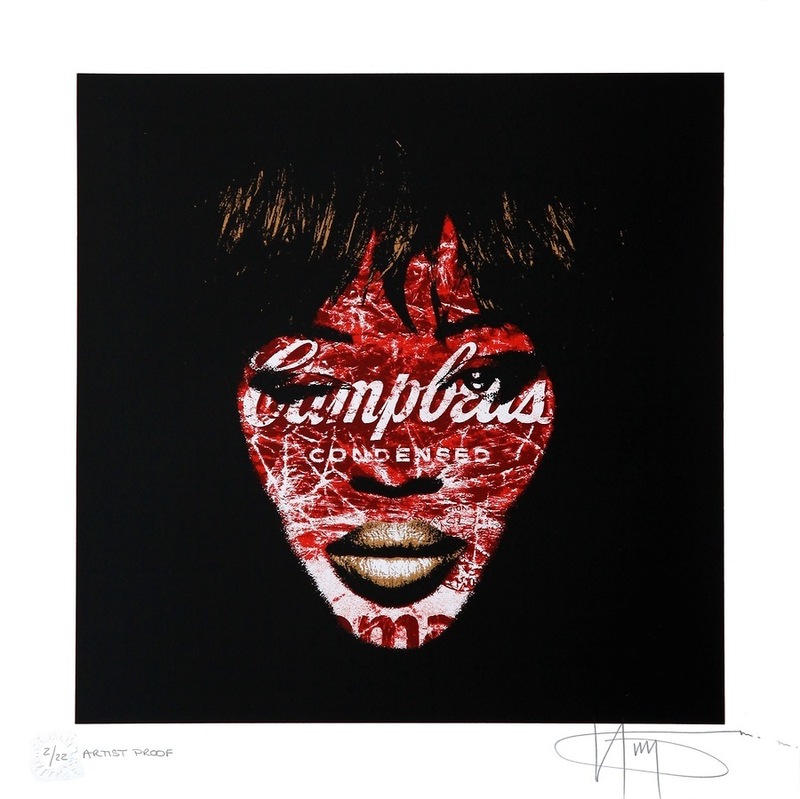 Branching out into Pop Surrealism, the artist portrayed a two-sided play on a number of popular icons – politicians, religious leaders, celebrities and corporate brands. “Campbell’s Condensed” is a great example of this concept, staying true to K-Guy’s brand of wry humour.